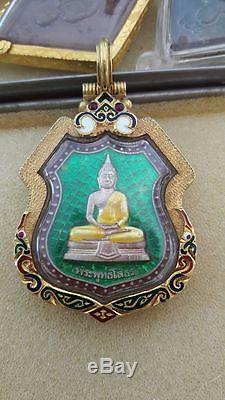 Description Amulet name : Phra buddha sothorn (longyarachawadee). Material coins : Silver rachawadee enamel. Material case : 22k gold case sukhothai enamel. (3046) Build in 1996 A. The item "SILVER COINS PHRA BUDDHA SOTHORN THAI AMULET IN 22K GOLD CASE SUKHOTHAI ENAMEL" is in sale since Wednesday, February 15, 2017. 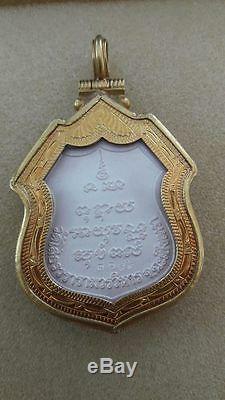 This item is in the category "Antiques\Asian Antiques\Southeast Asia\Amulets".bkk" and is located in Nonthaburi . This item can be shipped worldwide.